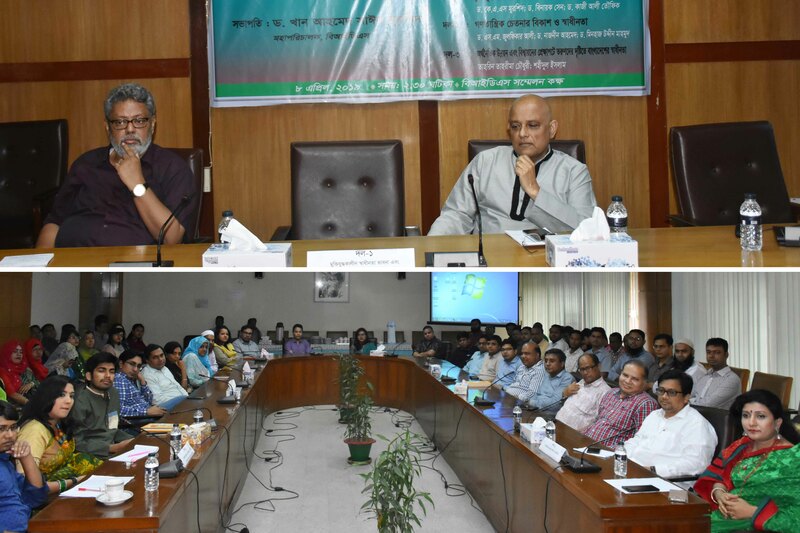 BIDS commemorated the 48th Independence Day of Bangladesh on 8 April, 2019 at the BIDS Seminar Room. A lively, sometimes emotional discussion took place as members from three generations shared their thoughts, views and experiences, recounted stories and read out letters written by fighters. The discussion format was unique, and a welcome departure from the usual ritualistic observance of the day that is often seen - a thoughtful, heartfelt tribute to the 1971 generation. Dr. K A S Murshid, DG, BIDS chaired the event. Dr. Binayak Sen, Dr. S M Zulfiqar Ali, Dr. Nazneen Ahmed, Dr. Minhaj Mahmud, Ms. Tahreen Tahrima Chowdhury and Mr. Shahidul Islam spoke as representatives of their generation, while Ms Nahian Azad Shashi and Mr. Tanveer Mahmud made a short, formal presentation on the historical background leading up to the War. The programme was designed and executed by Kashfi Ryan and her team.